Bringing together the textural and dynamic capabilities of the cello, with an extensive palate of sampled and abstracted found sounds, this collaboration between Australian sound artists Anthea Caddy and Thembi Soddell generates a provocative and tense sonic world. 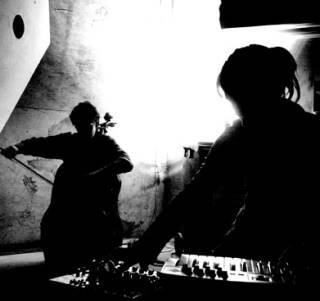 Their work embraces the nature of opposition, fusing the extremes – noise and quiet, composed and improvised, acoustic and electronic – to become a unified yet unstable sound, laced with subtlety, aggression, chaos and intrigue. The duos unflinching dedication to exploratory music incorporates sonic, spatial and performative gestures into a singular act of extreme expression. There is a noesis involved in experiencing their work, a knowing that is sub-conscious, and teases the liminal points of perception and awareness.